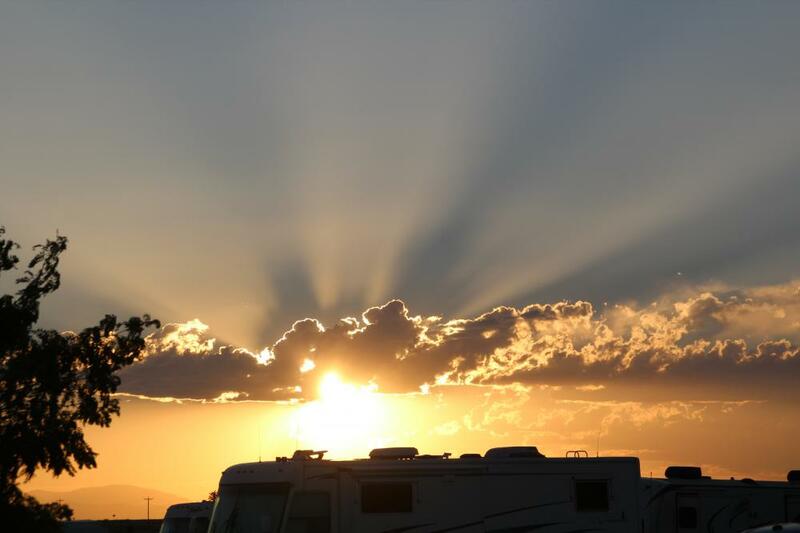 If you’re longing for mountain views and close proximity to some of Colorado’s most popular outdoor attractions, Haggard’s RV Campground could be your next camping destination! 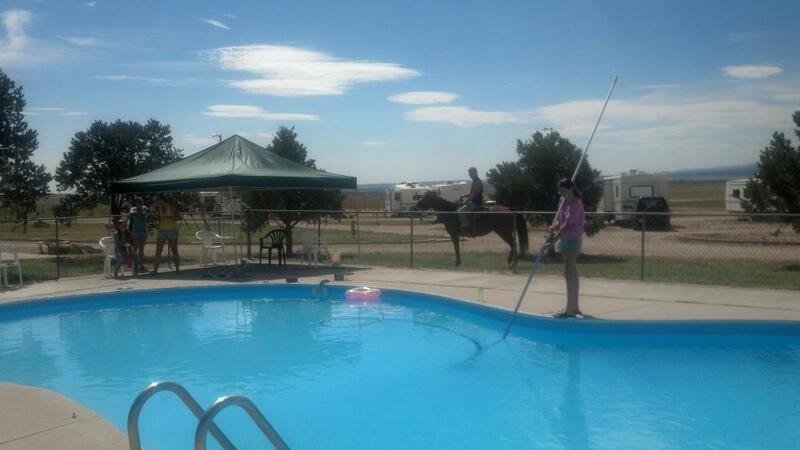 Located near the towns of Colorado Springs, Canon City, and Pueblo; guests are close to the action but secluded enough to enjoy gorgeous views and some much needed peace and quiet. This seasonal campground is family and pet-friendly, and the park offers fantastic amenities in a beautiful setting. Haggard’s offers full hookup, pull thru RV sites on large level gravel pads. 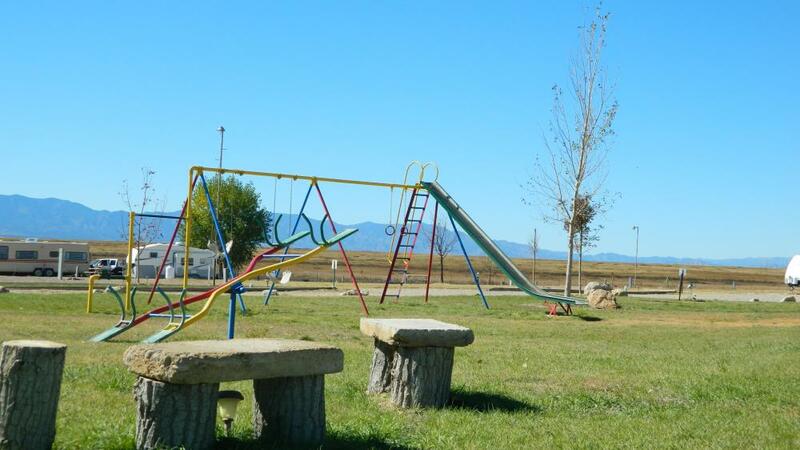 Campsites include picnic tables and the owners are extremely accommodating and will go out of their way to make sure you are having the best experience possible. All campers have access to clean bathrooms and showers, great WiFi, good cell coverage, BBQ grills, laundry facilities, and propane refills. Bring your pets and let them enjoy the dog park while the kids have a blast in the pool and on the playground! If you love antiquing, you’re in luck! Florence, Colorado, the Antique Capital of the State, is only 10 miles from the RV park! If you are a fan of dirt biking and drag racing, Pueblo Motorsports Park is nearby as well as Paved Circle Track Racing. History buffs will want to head to the historic mining town of Cripple Creek, and if you’re also a fan of casinos, this is a great spot to spend an evening. If you’re looking for outdoor recreation head to Lake Pueblo State Park for fun on the water, Pikes Peak or Garden of the Gods for hiking, the Royal Gorge to experience the highest suspension bridge in the nation, or go rafting on the Arkansas River. Biking, horseback riding, offroading, museums, scenic drives, and waterfalls are also popular in this region. Ready to start planning your Colorado camping trip? 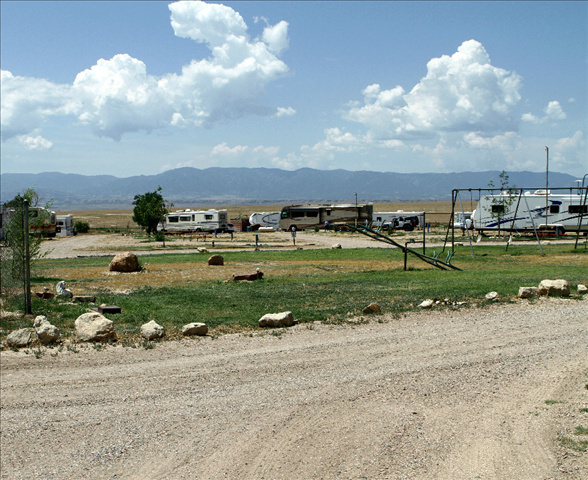 Haggard’s RV Park Campground is a great family destination situated near some of Colorado’s most popular outdoor attractions. Whether you want to relax with the mountain views or get out and enjoy nature, there is a lot to love about this Colorado campground! Book now on Camp Native.